Kim flies into LA most weekends and occasionally arrives too late to go out for dinner, so I usually prepare a light snack for when she arrives. So last weekend, she came in late and I was working late too and didn’t have much time to cook–but I still wanted to prepare something quick and light for a late night snack. Lucky for us, we had all the ingredients to make hiyayakko tofu, a wonderfully light and refreshing Japanese dish of cold soft tofu with a variety of different toppings. This dish is the counterpart to agedashi tofu found in many Japanese restaurants. But unlike agedashi tofu, no frying is required and it’s is so easy you can do this in 5 minutes. Carefully remove cold tofu from container and drain. Slice into small squares/rectangles or what have you and set in serving dish. Keep chilled in fridge if not serving immediately. In separate bowl, combine the ingredients for the ponzu sauce. It’s basically a vinaigrette so adjust the seasoning to suit your tastes. Top with pickled ginger, scallions, perilla/shiso, jalepeno or whatever ingredient you think might go well. 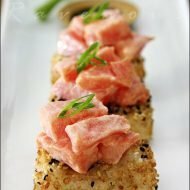 Spoon some ponzu sauce and finally top with the crunchier ingredients such as bonito flakes, fried shallots, or roasted sesame. A perfect, healthy summer snack or appetizer! Thanks for stopping by my blog. This looks delicious–and gorgeous! I've been looking for new ways to use my perilla leaves, and will definitely try this. Thanks for sharing. Such a lovely simple elegant dish! Jess and Joe: tofu is great and this is such an easy way to enjoy it's freshness. Perilla adds great flavor. Let us know how it goes! 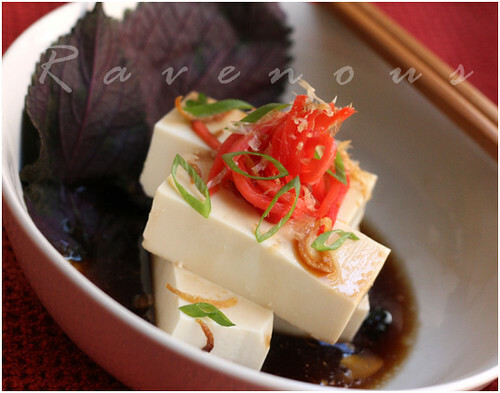 Rita: tofu with ponzu is a great amuse bouche…try serving it on a soup spoon. That looks wonderful! I'm most definitely going to try it. I've been meaning to try Ponzu sauce. 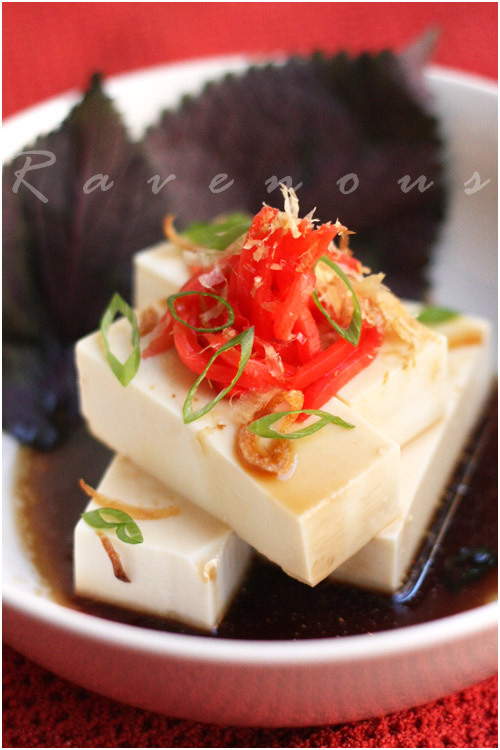 LaLa: Let us know how this tofu with ponzu sauce goes for ya! You need a good snack from taking the MCATs… but this might be too healthy..how bout those Korean fried chicken wings?? It's so quick to prepare and so pretty! Sounds like a great snack. lisaiscooking: This tofu recipe with ponzu was defintely one of the easiest we've ever made. Pandalicious: It's great for these hot balmy days in LA! This tofu dish sounds delicious… I love japenese dishes! This is a really refreshing and tasty tofu dish. Ponzu chicken is one of my kids' favorite recipes and one of my most popular recipes on my blog. So simple too! 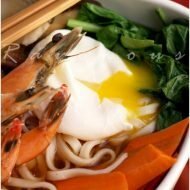 This is simple and healthy dish. I love this type of cooking. By the way, thanks for paying me a visit. Karine: Thank you for your kind words! 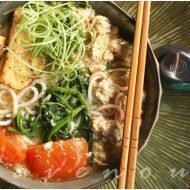 Petite Nyonya: Fresh tofu is really refreshing–we should definitely eat it more this way. Ninette: We'll have to check out your chicken/ponzu recipe! Little Inbox: Thanks for comments! Ha, something I can do in 5 minutes? This might be something even someone as lazy as me will make one day, especially since I love all my tofu dishes. Thanks for sharing! barumun: thanks for the comments! not only is it easy, it's really tasty and healty!